We know Ulysses S. Grant as the general who took the fight to Robert E. Lee, bringing an end to the Civil War. But when the war began Grant was over 40 and working for his two younger brothers as a sales clerk in his father’s store. He landed there after a string of failures. He had to resign from the army because of a rumored drinking problem. With a dream of being a soldier crushed, he turned to different entrepreneurial ventures in farming and real estate, all of which were failures. To add insult to injury, his own father and father-in-law believed Grant would never make it. However, he had unflagging support from his wife Julia who knew he was destined for great things. With this strategy, Grant started winning and gained the notice of President Lincoln who was in desperate need of good news. 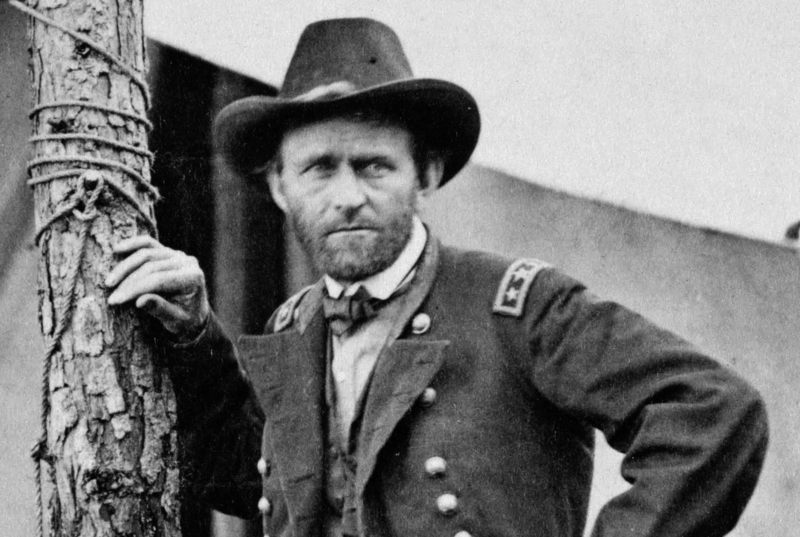 Just as Grant’s star began to rise, jealous superiors took aim and attempted to sabotage his career. Again, he was tarred and feathered as an irresponsible drunkard who couldn’t be trusted. On one occasion, when his accusers brought up the same tired rumor, Mr. Lincoln quickly reminded them of his successes. He said he’d like to find out where Grant got his whiskey so he could send a barrel of it to his other commanders. In 1864 he was finally promoted to Lieutenant General and had command of all the Union forces. In 1869 Grant became our 18th president, and courageously led the charge to pass the 15th Amendment which gave voting rights to all citizens regardless of race, color, or previous condition of servitude. In a span of eight years Grant rose from store clerk to highest place of leadership in the nation. Let’s go back to Exodus 1, and to our conclusions. First, like Israel, Moses, and General Grant, God has a special purpose for each of us. Second, let’s not be shocked when hardship, suffering, even persecution arise. 1 Peter 4:12 says, “Dear friends, do not be surprised at the fiery ordeal that has come on you to test you, as though something strange were happening to you.” The conflict of good versus evil that unfolds in Exodus was really a spiritual battle. Satan was at work, doing everything in his power to destroy God’s plan of salvation. Nothing has changed. He’s still devising ways to steal, kill, and destroy what God wants to do in the earth through his people. He stirs up opposition wherever he can. It may be a hostile co-worker, a jealous boss, a rebellious child, or resentment in a marriage. He wants to discourage you until you submit and surrender to his chains of despair. When a fiery ordeal arises, let’s not think it strange. Third, take courage because absolutely nothing can thwart the purposes and plans of God. The only weapons the Hebrews had were pitchforks and shovels. They found themselves in the crosshairs of the most powerful person in the world. But, God had a trump card for every hand Pharaoh played. His oppressive schemes only created a dark backdrop to display God’s awesome power. The big movers and shakers are tiny compared to our God. The Egyptians believed Pharaoh had divine powers, but today we aren’t sure of his actual name. Everything he built is now dust. People may lie, obstruct, and do all they can to hinder you, but small people can’t stop your great God and his plans.